Cork County Council, through the Creative Ireland Programme, is hosting a conference next week in Ballyvourney. The Conference, which is titled ‘Contae Chorcaí Ildánach – Creative County Cork’ takes place in the Abbey Hotel on Friday and Saturday, 9th and 10thNovember – free of charge and Fáilte romh Cách. The conference will be a great opportunity for local groups and organisations to hear a range of expert speakers and to learn about the various cultural services provided by the Council and, in turn, see how they can get involved in cultural endeavours locally, particularly with regard to promoting the Irish Language – as we mark 2018 as Bliain na Gaeilge. At the Conference, Cork County’s Culture and Creativity Strategy 2018-2022 will be launched by the Mayor of the county of Cork Cllr. Patrick Gerard Murphy. To book a place email creativeireland@corkcoco.ie. There is a great variety of further events taking place over the next few weeks, including events to commemorate the centenary of the end of WWI and groups might also be interested in Cork County Council’s Community Development Initiative – full details below. Additional Information: The Creative County Cork Conference takes place in Baile Mhúirne on Friday 9th and Saturday 10th November 2018. At the conference on the Friday morning, which commences at 11:00, the County Cork Culture and Creativity Strategy (2018-2022) will be launched by the Mayor of the County of Cork Cllr. Patrick Gerard Murphy and copies will be made available for all in attendance. For the conference, a range of great speakers has been lined up. 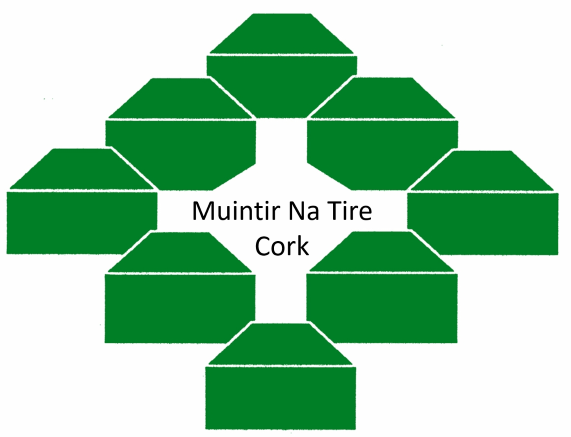 The Friday morning will see presentations by staff of Cork County Council with regard to the many Cultural Services available and with 2018 being Bliain na Gaeilge, the afternoon will see an Irish Theme to it with a range of excellent speakers including An Coimisnéir Teanga Rónán Ó Domhnaill, Laurence Lord, Peadar Ó Riada, Rachel Ní Riada, Bríd Cranitch and Máirtín Ó Méalóid, followed by a performance by local school-goers involved in Aisling Gheal. The evening will also see a musical performance in the Ionad Cultúrtha and some tickets have been set aside for conference attendees. The second day of the conference, Saturday 10th November, will also see a range of speakers in the morning commencing at 10:30 including Rachel Holstead (Arts in the Gaeltacht), Dr. Rosarie Crowley from the HSE (culture and well-being) and Siobhán Ní Dhuinnín regarding Dance. Following lunch, conference attendees will be able to avail of two free tours – one of St. Gobnait’s Ecclesial Complex by County Archaeologist Mary Sleeman, and this followed by a Tour of the Nine White Deer Brewery. The full conference programme is available by clicking here at www.corkcoco.ie/upcoming-events and for further information or to book a place emailcreativeireland@corkcoco.ie or phone 021 4285905. All groups and individuals with an interest in their local culture and heritage are encouraged to come along – Fáilte romh Cách. Additional Information: Cork Harbour Islands Project (C.H.I.P.) are holding its next Exhibition in Cobh Maritime Building, Railway Station, Cobh with the Official Opening on Saturday 13th October at 2pm and will run for approximately 6 weeks (opening hours 10-4.30). This year’s exhibition will focus on one of the most iconic buildings in Ireland – St Colman’s Cathedral. This beautiful Cathedral will celebrate the 150th Anniversary of the laying of its Foundation Stone this month and next year will see the 100th Anniversary of its Consecration. The Exhibition will focus on the all aspects of the Cathedral from its beginning, to those that worked on it and also the huge social aspect it has played in the history of Cobh over the last hundred years and more. Event: The Ellen Hutchins Exhibition at U.C.C. Additional Information: A most wonderful exhibition on Ellen Hutchins will be launched on Monday 15th October, U.C.C., running up until Friday 21st December. The exhibition will be opened by Prof. Sarah Culloty, Director of the Environmental Research Institute, University College Cork and Carrie O’Flynn, Historical Re-enactor, will be there in costume at the launch together with many of the Ellen Hutchins Festival Team. Admission is free and all are welcome during the opening hours of the Boole Library (Monday to Sunday, early to very very late, more detail on the website) https://libguides.ucc.ie/aboutus/openinghours. A programme of activities is running alongside the exhibition including a talk by Madeline Hutchins on Wednesday 7th November (1pm) in the Crawford Art Galley. See www.ellenhutchins.com for more information. Additional Information: Horrid History Tours at Michael Collins House will delve into the gruesome, the scary and horrid folk stories and histories associated with the revolutionary period in Irish History. Standard Entry fees apply for the tours and as space is limited booking is advised. See poster for more information. Additional Information: Blarney & District Historical Society presents an illustrated lecture titled Blarney 1918 - Anti-Conscription - Armistice - Election in Scoil Mhuire Gan Smal (Blarney Secondary School) In April 1918 the British government attempted to impose conscription in Ireland by imposing a law which was passed but never put into effect. No Irish person was ever drafted into the British Army. The Armistice of 11 November 1918 brought an end to fighting on land, sea and air in World War I between the Allies and Germany. The General Election of 1918 resulted in a landslide victory for the Sinn Féin party, and was the first election in which women over the age of 30, and all men over the age of 21, could vote. Constance Markievicz was the first woman elected to the British House of Commons, and, along with other Sinn Féin TDs, formed the first Dáil Éireann. She was also the first woman in the world to hold a cabinet position as Minister for Labour of the Irish Republic, 1919–1922. Guest Speaker, Author and Lecturer, John Mulcahy analyses the effect these three momentous events had on the Blarney and District of 1918. Everybody Welcome. Enquiries to Brian Gabriel 0872153216. For more information see www.blarneyhistory.ie. Additional Information: Thursday, 1st November, Chaplains in the British Army with Peter Rutherford at the Temperance Hall at 8 p.m.Organised by the Kinsale History Society. For further information email dermotryankinsale@gmail.com. Additional Information: A wonderful Schools' exhibition is being put together featuring Kilmurry Parish Schools, including Lackareigh, and will feature lots of old school photographs, accounts and artefacts. The exhibition will be launched in the Museum on Saturday November 3rd 2018 and will open on Sundays for the month of November. All most welcome to attend. Additional Information: Ballyphehane 1916-2016 Centenary Commemoration Committee has organised an afternoon to commemoration James Mountain on Saturday 3rd November 2018. The event will include a ceremony, music and the reading of the Fenian Proclamation followed by a talk and refreshments in the Ballyphehane Community Centre. All welcome. Additional Information: Cork Public Museum Curator Dan Breen has organised a series of talks for the 6th to 8th of November to take place in the Museum, looking at such topics of Cork Nurses in the Great War; the Life and Death of Lt. Michael Higgins and Cork 1918: Victory, Virus and Votes. All talks are free to attend and commence at 1pm. See poster for more details. Additional Information: Coppeen Archaeological, Historical & Cultural Society presents "Exploring the origins and practices of Station Masses” an illustrated talk by Fr Tom Hayes, PP. Enniskeane. Wed. 7th Nov at 8:30 in An Caipín. Not to be missed! Adm. €5 inc teas. Everybody welcome. Additional Information: As part of the Cork Historical and Archaeological Society Annual Series of Lectures, a wonderful talk by Madeline Hutchins regarding Ellen Hutchins, will take place in the Crawford Art Gallery. All welcome. Additional Information: To mark the centenary of the end of the First World War Cork Public Museum will host a small ceremony to officially close the replica trench located on site. The event commences on the morning at 10:30 and all are most welcome to attend. Additional Information: To commemorate the centenary of the ending of the First World War, the Cork Branch of the Western Front Association will be holding an Evening of Remembrance in Music, Song and Story at 7:30pm on Friday, 9th November at St. Fin Barre's Cathedral The event will feature the Barrack Street Band, Jimmy Crowley, Liam Hutchinson and vocalists Emily Rose Doyle, Sarah Barry and Timothy O'Sullivan. There will also be readings of poetry and extracts from memoirs of the war. Tickets cost €10.00 and are available at O'Connor's Shoe Store on Prince's Street and in Ballincollig, at the cathedral and at the door on the night. Additional Information: Sunday 11th November, Annual Commemoration at the World's End at 11 a.m. Organised by the Kinsale History Society. For further information email dermotryankinsale@gmail.com. Artist’s Impression of Medieval Buttevant: Recent archaeological works provided us with new information on Buttevant’s medieval walls and streetscape. The IWTN funded an update to our artist’s impression of medieval Buttevant. We are proud to launch this new information at the Armistice Exhibition. Buttevant Heritage Website www.buttevantheritage.ie: Buttevant Heritage Group is amassing a lot of material relating to Buttevant’s heritage. Our new website will provide easy access to our audio guides of Buttevant’s heritage sites, an archive for visual and oral material while new drone footage gives an aerial overview of Buttevant, past and present. Funded by the Heritage Council, we are proud to introduce this new resource to our community. Saor in Aisce agus fáilte romh Cách. Additional Information: Organised by the Muskerry Local History Society a wonderful talk by Kieran Connolly titled 'Sam Maguire - The Man and the Cup' will take place on Monday 12th November. All welcome. Additional Information: On Thursday 15 November audiences will have a rare opportunity to hear hugely inspirational speakers at the 'Against All Odds” conference in The Clayton Silversprings Hotel, Cork. Six life changing stories from six remarkable people. “Against All Odds” is the biggest event of its kind to take place in Cork. The 6 international speakers will each share their experiences of challenges and adversity and how through resolve, resourcefulness and resilience they have changed their lives and in turn have inspired and enlightened many others to change their lives too. This conference will help and inspire everyone who attends. Dave O’Brien: worldwide inspirational speaker on health and wellbeing and world record holder. John Lonergan: Former Governor of Mountjoy and Portlaoise prisons shares his rare insight into the human condition. Henk van der Klok: Serial adventurer, now walking from Holland to Jerusalem…without any money or back up. It is hoped that this update has been of interest and all the best for now.